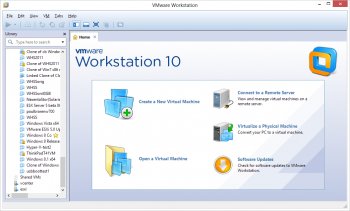 New Release of VMware Workstation 10 – Now Available! by Nicolas Rochard Sep 04 2013. Software development and testing with multiple monitor support, where winding back the clock of a running VM is quite handy, as are multiple displays, like on my desk. Testing local boot devices, using USB 3.0 devices in a VM, faster than ESXi's limited USB 3.0 support, that I demonstrated here. 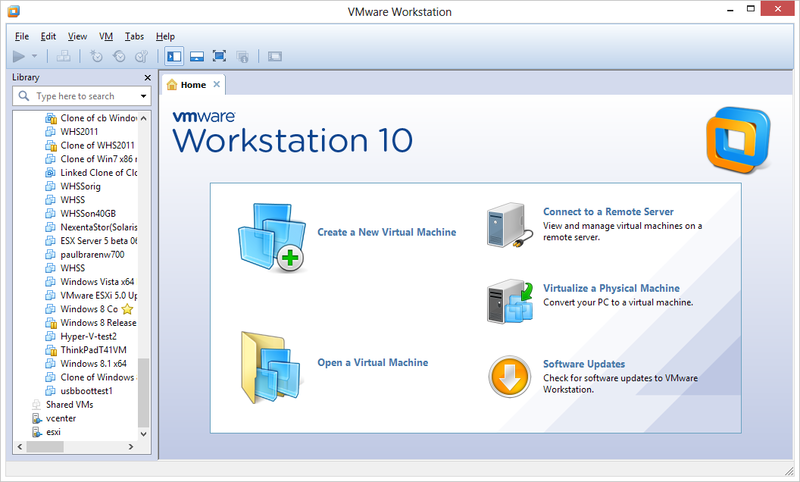 For far more detail and explanation of why the free VMware Player may be adequate for many users needs, see also VMware Player is a free way to play with VMs by Paul Braren Jan 02 2012. If you're not a developer and don't need snapshots, you'll probably be just fine with the free for non-commercial use VMware Player version, which still gives you the ability to both create and run VMs. with Player bundled for free. *Expiring Virtual Machines** – Restricted virtual machines can be set to expire at a specified date and time. An expired virtual machine automatically suspends and will not restart without administrator intervention. not available yet, check back soon, here's a Workstation 10 15 minute demonstration video I created. If you find you cannot get in to the NICs to reconfigure DHCP, you'll need to remove them to recover, explained here. The free version of VMware Fusion 6 now touts full readiness for OS X Mavericks and Windows 8.1 VMs. Good to see VMware get out there with this statement for developers so quickly, who got access to the RTM Windows 8.1 code just yesterday! Could come in handy for my family's Mac mini system, affectionally dubbed "macZilla". Wonder when Apple's bootcamp will get updated, to help ease dual-booting. Yes, this means you can boot a Windows 8.1 VM on your Mac running Mavericks. 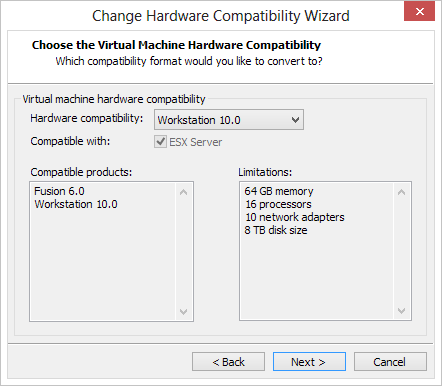 And if you install that 8.1 VM on a separate drive (done internally with a little iFixit Surgery, which I explained here), you can dual-boot over to that same copy of Windows 8.1 as well. Nice! Not something I'll be able to test soon, but run a VM or dual boot to that same VM all worked out quite well, on OS X 10.8 Mountain Lion / VMware Fusion 5 / Windows 8.0. Extend Mavericks' unique capabilities to your Windows environment and get a more Mac-like experience when running Windows applications on your Mac. Take full advantage of every display connected to your Mac with Mavericks’ multiple display support. Use AirPlay to view your Windows environment on your HDTV. Easily install OS X Mavericks from the recovery partition and run it as a virtual machine with VMware Fusion 6 or Fusion 6 Professional. Another way to get up to 50% discounted Fusion or Workstation license is to sign up for VMUG Advantage, with has numerous other benefits. 35% off Cyber Week sale underway now through Dec 04 2013, click here for VMware Workstation, and here for VMware Fusion. If you're not yet ready to build a VMware ESXi server, consider the (free for personal use, or $99 for corporate use) VMware Player. That way, you build up a library of VMs that can easily be moved into (or back out of) that "home cloud" server you might build some day. which saves on the cost (and heat) of running 2 separate systems in your home's office. Another benefit? You can then be using your own, personal, latest-and greatest (Windows 8.1 system, Linux, Mac) with multiple monitors, for highly productive use of that isolated, secure, and encrypted Windows 7 Pro work VM. 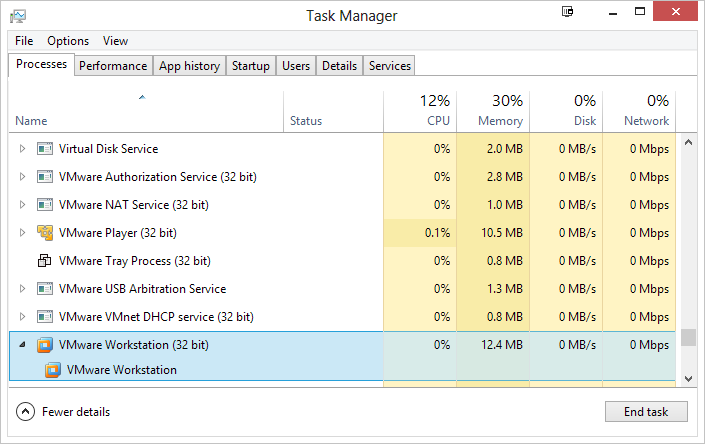 By the way, Windows 7 Pro doesn't support multiple monitors over Remote Desktop (darn! ), using VMware Player locally gets around that limitation. This all makes sense, no? It's what I do. Questions? Drop a comment!